This is Memorial Day weekend. The holiday was originally called Decoration Day and many oldsters still call it that. The first Decoration Day was organized by Union Civil War veterans who collectively were called the Grand Army of the Republic (GAR). That first celebration was held in Arlington National Cemetery three years after the end of that war. It has been nearly 150 years since that first observance. Over the years the name has changed to Memorial Day and instead of being a veterans-only memorial, it has expanded to include all of those who have preceded us into that next phase of life. Still, we continue to memorialize veterans first over the others. Each of us have some one whom we remember because as long as we still remember them, they will not fade into History; their individuality gone from our collective memory. Tomorrow, my local city will hold a Veteran’s March, a few blocks from a local church to a cemetery where some Civil War veterans are buried. We no longer remember them as individuals, their personalities have been lost in time. But, we can remember their names, their units, and, with some research, we could rebuild some of their history, fleshing their names into people with families and deeds. Perhaps that would be a good school project, researching some of those names and recreating, as much as possible, the people who wore them and their lives. I’ve one name I remember, Kenneth Tate, a distant cousin who was the first from Franklin County, IL to die in the Viet Nam War. We weren’t close but we were high school classmates and we shared a number of common cousins. We lived at opposite ends of the county, he in the northeast, me in the southwest. Outside of school, we would meet occasionally at family functions. I wrote a blog post about Ken Tate a few years ago. It is a bit unnerving to realize Ken Tate has been gone 47 years. I can still remember him as he appeared, sitting next to me in high school chemistry, physics and math classes. People talk about the dwindling number of WW2 veterans. They are not the only ones slipping away. 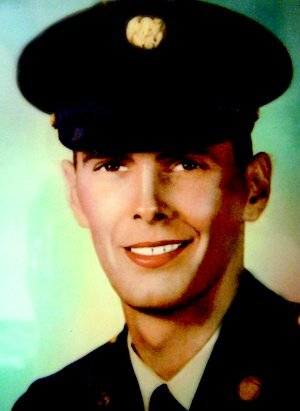 My brother-in-law was a Korean War veteran. He’s long gone, too. And as those of us, of my generation, who served, our numbers are diminishing as well. The attention now is focused, rightfully, to those entering the veteran ranks, the ones who landed on Grenada, Panama, Gulf Wars I and II and finally, Afghanistan. They have needs, as much and often more, than those of us from earlier times. I’ve been fortunate to not need assistance from the Veteran’s Administration. I hope to never need any, let those who do need help have priority. But never forget. The nation owes veterans. Veterans should never take second place to any group, any segment of the population. Veterans have earned their rights the hard way with their bodies and their lives. Now that Memorial Day weekend is here, remember what is owed to veterans. Winston Churchill said, “Never was so much owed by so many to so few.” It is still applicable today. This entry was posted in Memorial Day, Veteran's Administration, Veteran's Day, Veterans by Crucis. Bookmark the permalink.